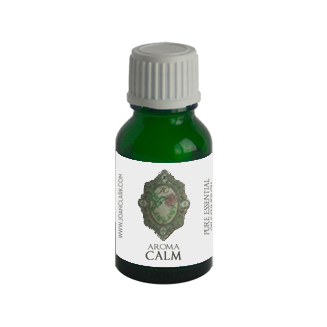 The Aroma*Calm Synergy enhances the state of union between the body and mind that may now vibrate in a state peace, harmony and flow. It helps to maintain that unified oneness where the body and mind are free of stress and bodily fatigue, and are in perfect union-- trusting in the flow of life, at peace with all that is unfolding. It is also the synergy for the body and mind that has a hard time relaxing. That is-- experiencing fatigue and restlessness. This synergy helps to ease body tension so the mind and body can come into a place of peaceful relaxation. Aroma*Calm can help the body to surrender its excess energy and to assist the mind to slow down and accept the moment: to realign the energy fields back into a state of unity. Contains: Blue Chamomile, Eucalyptus Stageriana, Lavender, Lemongrass, Lemon Petitgrain, Sweet Marjoram, Vervain, Ylang Ylang.